Friends from Langtang, Nepal during happier times. Finally we have received some information about the effects of the earthquake in our beloved Langtang Valley of Nepal, as well as the rest of Rasuwa as of the 28th of April, 2015. It is so very sad to hear the village, and nearly all who were living there, our dear friends and family, are gone. But, not knowing anything is even harder. The village of Langtang was the site of the largest single catastrophe, as the entirety of village was completely buried by an avalanche that came from thousands of feet above on the southern slopes of Langtang Lirung and Langtang II. 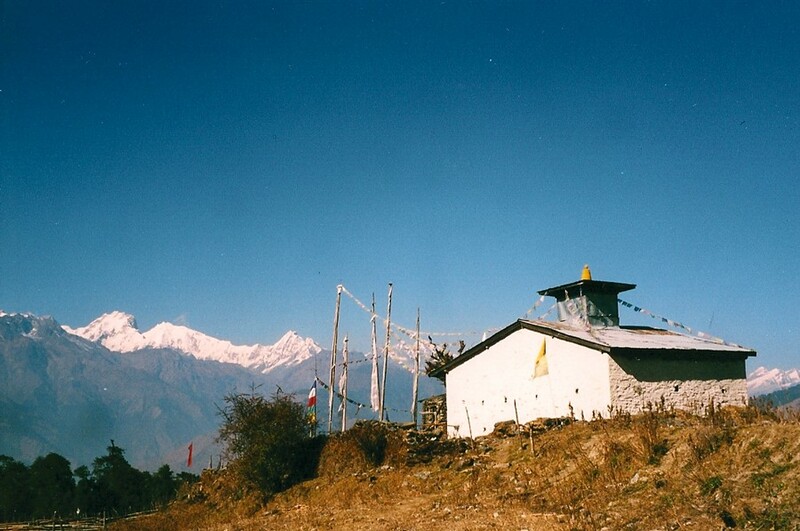 Smaller settlements on the outskirts of Langtang, such as Chyamki, Thangsyap, and Mundu were also buried. It is impossible to determine exactly how many people died there, but the estimate is perhaps over 300 people in total. The handful of survivors, roughly twelve locals and two foreigners, walked down to Ghodatabela below after spending the night of the 25th in a cave – thus there is no one at Langtang itself. This avalanche is perhaps 2-3 kilometers wide, and is obstructing movement within the upper valley corridor. Currently two large groups are stranded above and below (due to several intensive and recurring landslides in the steep sections between Ghodatabela and Lama Hotel). Above, at Kyangjin Gompa, there were reportedly fewer casualties (perhaps 5-10) yet many injured. Most of the injured have been evacuated via helicopter and there is an army medic team in place. Yet, currently, the problem is one of food shortage and illness. I have heard that the majority of the settlement, including the gompa, is remarkably intact. 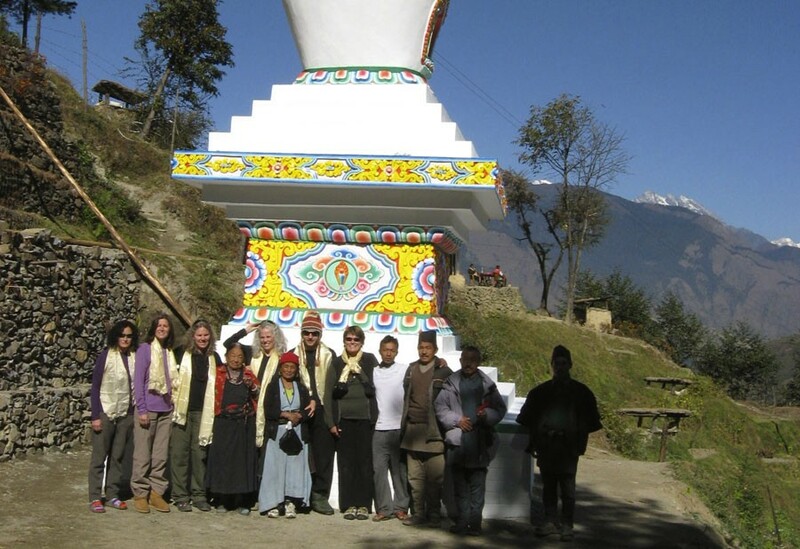 There is a smaller group of about 30-40 at the settlement of Sindum, about 4km below Kyangjin and closer to Langtang. This group has excavated several bodies from the major avalanche zone. They have also evacuated many of the injured, but are facing severe food shortages and illness (hopefully remedied by Nepal Army reinforcements and supplies on the evening of the 27th. Above Kyangjin Gompa, there were several smaller groups and climbing teams exploring the Upper Langtang valley, in a very high avalanche risk zone – I do not have good information on these groups, so pleasecontact the respective embassies to determine who has been accounted for and evacuated via Kyangjim. As of the evening of April 27th, there was perhaps 120-140 people remaining above Langtang who need to be evacuated. Langtang, Nepal before the earthquake. Below, at Ghodatabela (where I was located during the earthquake for roughly 55 hours following the event) several large landslides were triggered from all directions, the largest from perhaps 1,500 meters above just below the settlement, completely obstructing passage. The two guesthouses there were partially destroyed by large boulders, and the army checkpoint barracks collapsed during the earthquake. The night after the quake, there were two groups sleeping in separate fields by the river, keeping distance from ongoing landslides and rockfall that continued throughout the night. The first Nepal Army helicopter arrived at about 8:30am, which dropped a “medic team” and took the injured from the upper camp; the second helicopter took more from the upper camp, a chaotic mix of Nepalis and foreigners. The group from below then moved up to the Army checkpost to evacuate their injured, however, the Army helicopter never came back (we were told due to fuel shortage and/or weather –however the Army did not have a radio or phone, or any means of communicating). After these helicopters came, Nepali survivors arrived from above and below, carrying several injured – this was the group closest to the avalanche – yet, unfortunately, the Army had no way of communicating this to the rescue teams. This added a high level of uncertainty to hours of extreme grief, as Nepalis arriving from above and below realized the scale of their loss. 24 hours after the slide, the Army then moved the group to a single location across the river, which proved to be the safest location. In the evening, a private helicopter (with limited seats) arrived to evacuate a group of three Nepalis, yet they were replaced with the five most injured Nepali children (thankfully, yet forcefully). After this, a few of us worked with the Nepal Army to establish a formal triage list, which was 25 Nepalis and 2 foreigners (one Dutch and one Italian) for the next large Army helicopter, which arrived the next morning. We successfully loaded the sick onto the helicopter, with a few other family members accompanying them at roughly 10am on April 27th. The army helicopter did not come back again until 645pm, and in between a private helicopter (a single pilot who did seven trips that day singlehandedly, pro bono) took two small groups of 6 people from Ghodatabela. The loading of all these helicopters was a highly chaotic experience, owing to both fear and ineffective/confused management on behalf of the Army. Communication improved throughout, but fell apart during the most emotional moments. At Ghodatabela, there was originally roughly 65 foreigners and perhaps 110 Nepalis – as of the night of April 27th there were still about 40 foreigners and 60 Nepalis stranded there. My hope is that another helicopter has been coordinated for this morning (I will refrain from the time being from being overly critical of the helicopter evacuation system, there are pros and cons), yet I fear that many evacuation attempts were limited by the storm system that came this afternoon. With friends in Langtang, Nepal. As of April 28th, as the aftershocks/tremors and rockfall have largely subsided, I was told that a few groups have successfully traveled from Ghodatabela through Sherpagaun via the high trail to Syaphru Besi. This is good news for the remaining, yet this is highly risky. Elsewhere in Rasuwa, around Briddim and Lingling and in several places along the road from Dhunche to Betrawati, in places such as Grang and Ramche, the majority of houses collapsed. I am not sure of the casualties caused by structural collapse. The Dhunche road itself seemed passable from the air, as there are no new large slides (other than the existing monsoonal ones), but I was told by someone walking from Syaphru Besi to Kalikasthan that a member of their group had fallen to their death while travelling. Along the Trishuli River valley itself, there are other smaller landslides and reports of significant collapse at Mailung, Simle, and Archale. In Betrawati, Gerkhu, and Mhanegaun in bordering Nuwakot district several houses also collapsed, and there were casualties in all of these places. The current data on total casualties following the earthquake here in Nepal is approaching 4,500. However, this is probably an underestimate considering that the estimate for the entire district of Rasuwa is 250, and there are at least 300 dead in the area around the village of Langtang alone. It is so very sad to hear the village, and nearly all who were living there, our dear friends and family, are gone. But, not knowing anything is even harder. We are committed to the continuation of our support of the Langtang region of Nepal throughout this disaster. And our hearts and prayers are with all those beings who have been personally affected by the Nepal earthquake. Please join us in “People Helping Pepople” by making a generous donation to earthquake relief today.